The SkyForest™ DTM is created through a new proprietary process that combines a variety of sources of imagery, and data satellite digital terrain models. This process enables us to create a DTM under forest canopy. The advantage of SkyForest™ is speed of production, cost and scale compared to lidar and other remote sensing technologies for terrain mapping. Forest operators have found the DTM to enable more efficient establishment of road lines with less adjustment. The vertical accuracy is about ±2m. The images below show a DTM cfreated in less than three weeks on the White River Forest in north-central Ontario using existing sources of imagery. There was no need to fly. 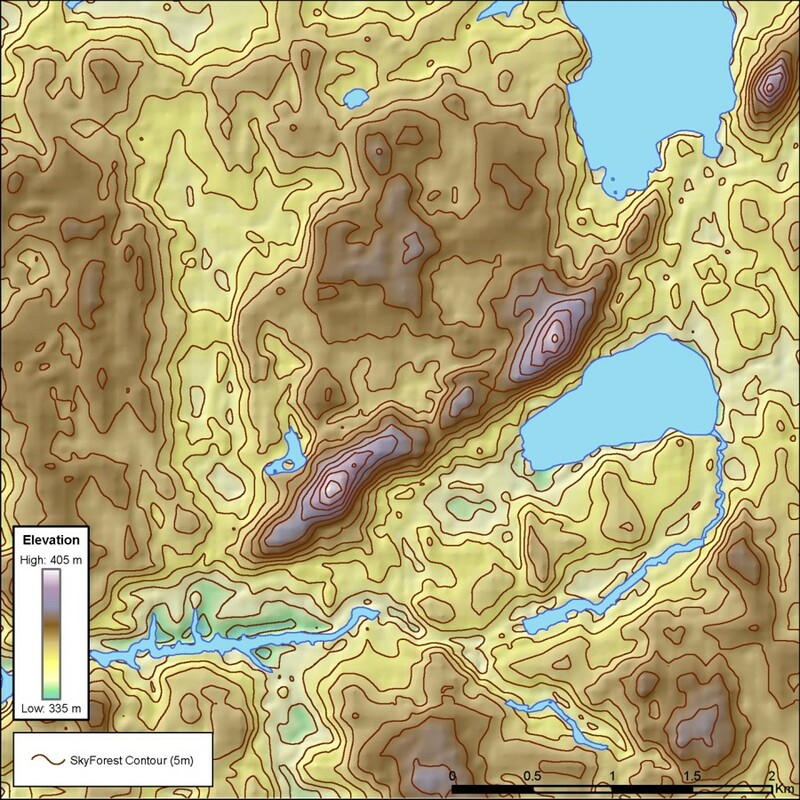 The digital terrain model can be used to create useful and accurate contour maps such as shown below, that have greater accuracy and resolution than topographical maps. SkyForest enhanced digital terrain model with 5m contours. 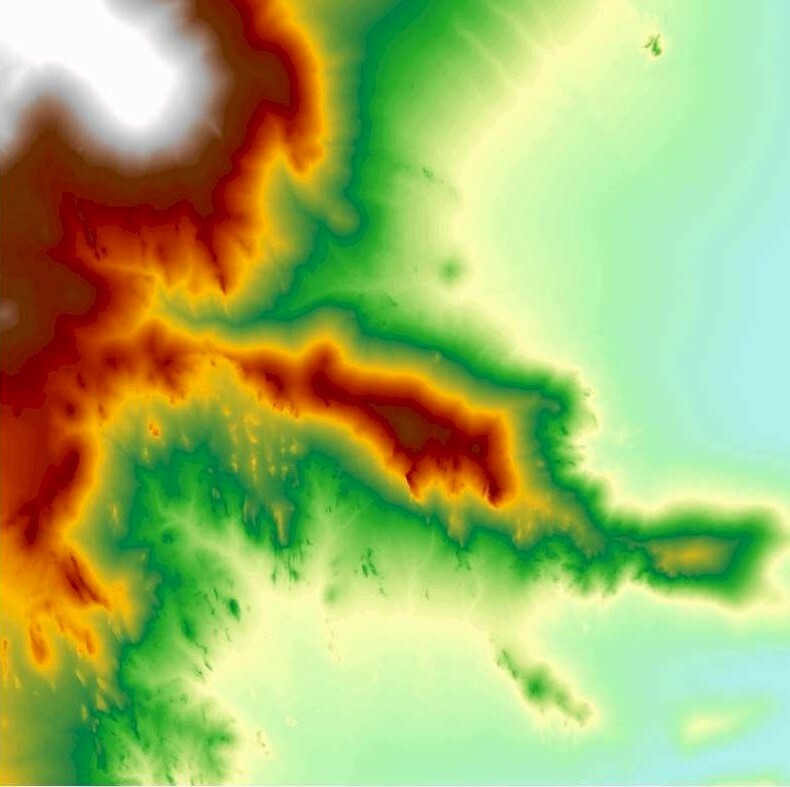 SkyForest™ generates an accurate digital terrain model that compares favourably with LiDAR. The root mean square error (RMSE) of the difference between LiDAR and SkyForest™ is ~2m depending on the area. 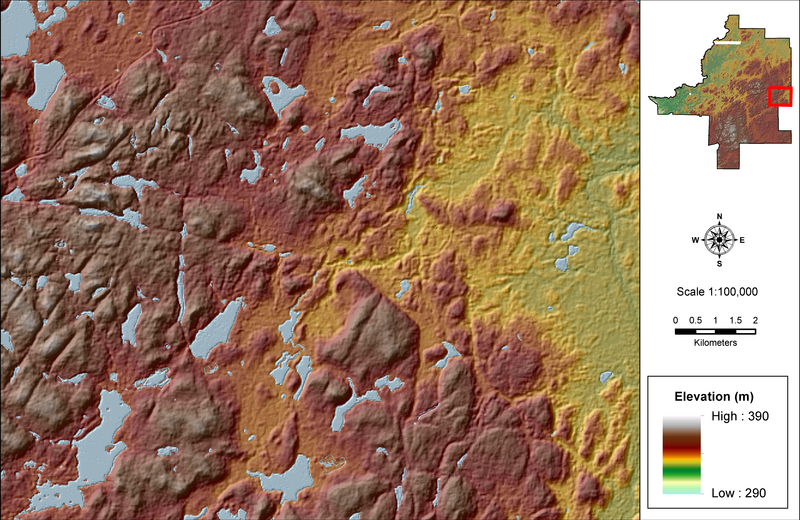 The SkyForest™ digital terrain model is a reliable DTM for industry and forestry purposes. 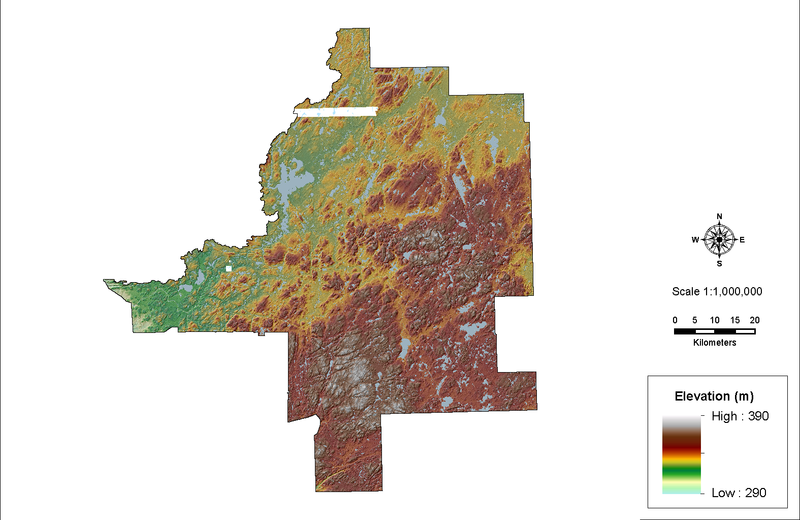 Below we compare a DTM on a 5km X 5km tile produced by SkyForest™ (top) and LiDAR (bottom).